Hedgehog in the Fog (Russian: Ёжик в тумане, tr. Yozhik v tumane; IPA: [ˈjɵʐɨk f tʊˈmanʲɪ]) is a 1975 Soviet/Russian animated film directed by Yuriy Norshteyn, produced by the Soyuzmultfilm studio in Moscow. The Russian script was written by Sergei Kozlov, who also published a book under the same name. 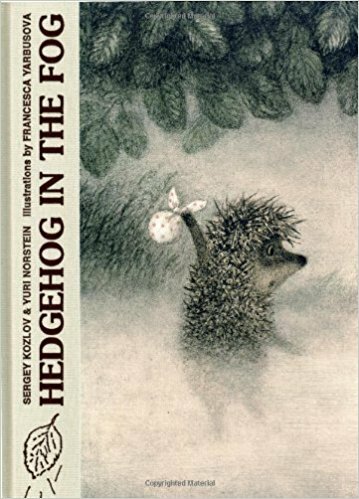 In 2006, Norshteyn published a book titled Hedgehog in the Fog, listing himself as an author alongside Kozlov.